Brewer exudes a strong blend of modern appeal, clean lines and elegance. 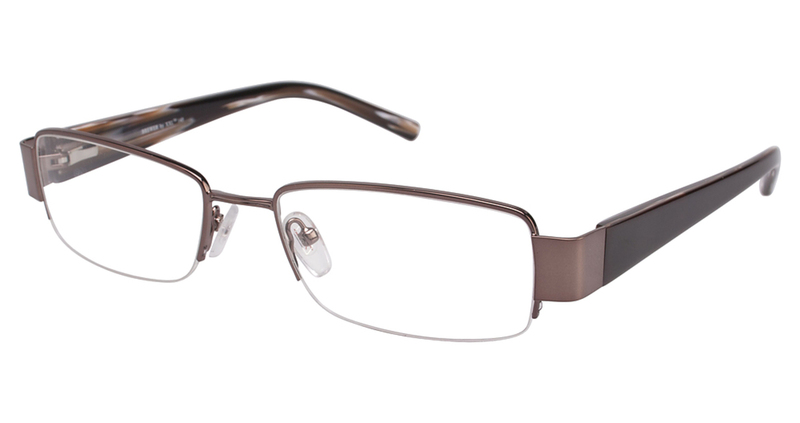 The combination frame combines rich acetate temples with the effortless look of a shiny metal rectangular, semi-rimless front. The wide temples feature a complimentary outside color and marble-like inside coloring.